Our Authentically flavored Flue Cured Tobacco E-Liquid from Logic Smoke is a top notch tobacco flavor that is smooth with a rich flavor. Many people enjoy this flavor as their all day vape and you should be no different. 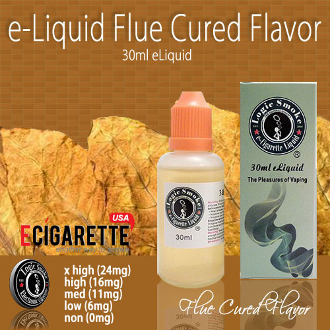 Grab a bottle of our Logic Smoke Flue Cured Tobacco E-liquid and enjoy.